Dan Buettner may have been onto something when he said that in regards to his recent report of The 25 Happiest Cities in the United States, released in October. Buettner worked with National Geographic and Gallup to develop a method for measuring where Americans are living their happiest lives. They took into account 15 factors, including a city’s civic engagement, financial security, vacation time, healthful food options, and walkability. It comes as no surprise that Boulder, CO, tops the list. If you’ve ever been to Boulder, you know it’s hard to resist being happy there — not that you would try to resist being happy, but you know what I mean. The people of Boulder are “active and productive every day,” the research says. That’s usually my key to happiness. Not to mention, activity and productivity are also usually byproducts of my happiness. It’s a happiness cycle! The data comes from 250,000 interviews conducted in 2014 and 2015, so even if your city didn’t make the list this time, maybe enough has changed in the past few years that it will make the cut next time. 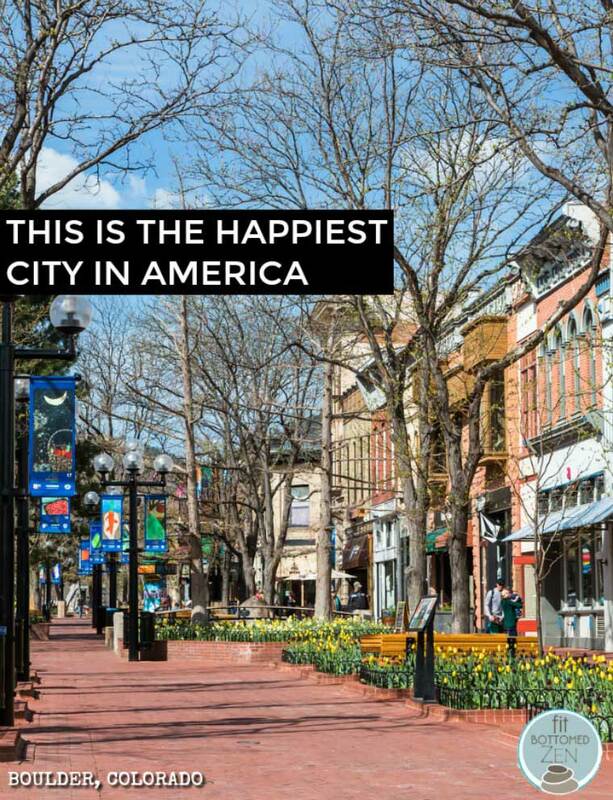 And if not, according to the report, “Happy places for locals tend to be hospitable places for visitors.” So even if your city remains off this list, you can share in the happiness if you visit one of the Top 25 Happiest Cities in the U.S.